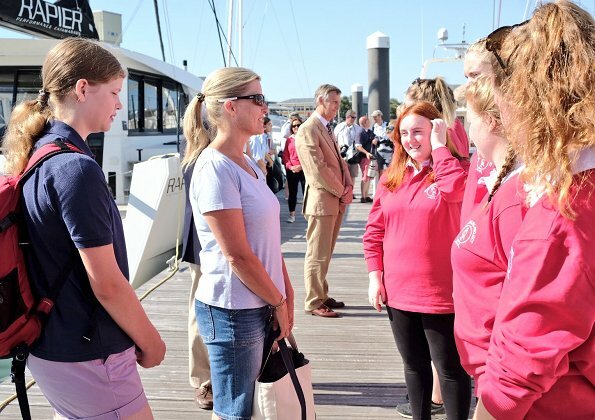 On Aug 6, 2018, Sophie, Countess of Wessex and Lady Louise visited The Association of Sail Training Organisations at Haslar Marina in Gosport, Hampshire. 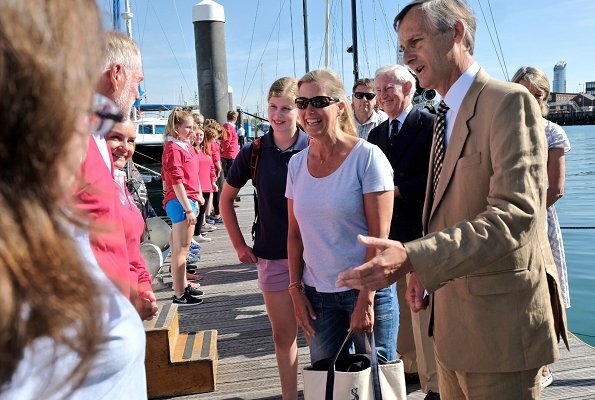 The Countess and Lady Louise board the Donald Searl from Haslar Marina and received a briefing from the boat’s skipper, Bill. 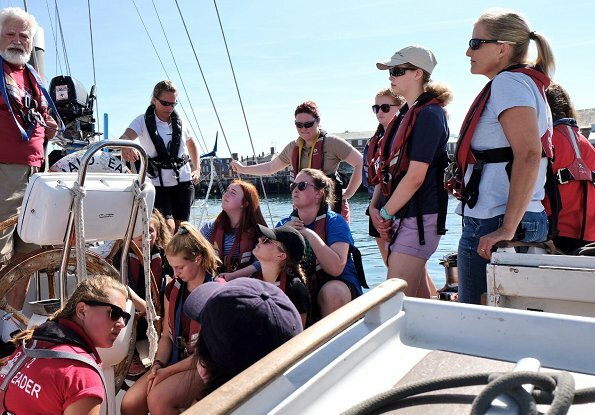 The Association is the UK's National Sail Training Organisation made up of more than 30 not-for-profit organizations that operate more than 50 Sail Training vessels around the UK. 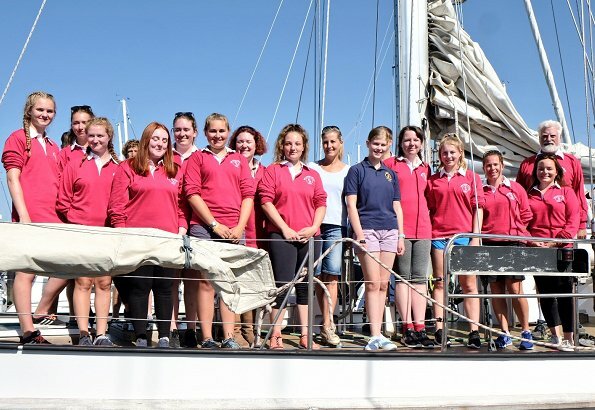 The Countess is Patron of The Association of Sail Training Organisations, which uses Sail Training to teach young and disabled people about their own strengths, talents and the value of teamwork. 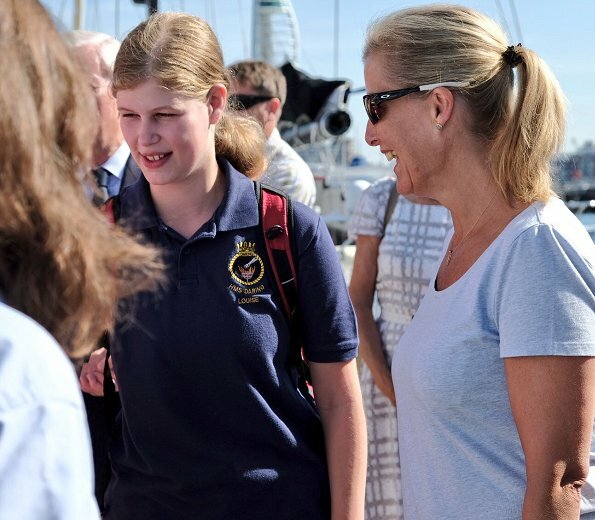 Lady Louise and Countess Sophie look great in these photos.LadyLouise looks like she enjoyed herself here. No real fashion here. Just nice informal photos of a mother and daughter outing. 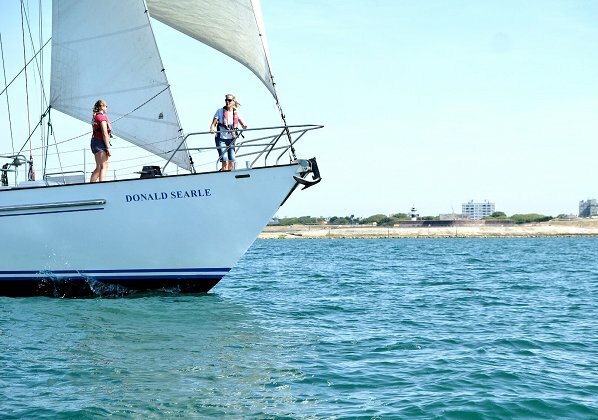 We should note that they are wearing life jackets as we all should on the water. Even a calm day may turn treacherous as tragically happened a couple of weeks ago on a Duck Boat. 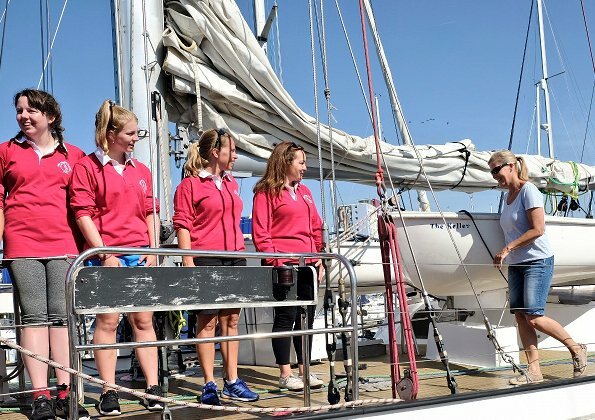 Lady Louise should have a go at sailing;her Aunt Princess Anne has a Yacht off the coast of Scotland. My friend was there when she went in to the General shop and asked if they would ring for a taxi for her mother (HER Majesty The Queen). I think you can wear stylish even on an event like this with casual clothes..this isn't the case. Mother and daughter again together make pleasent appearance.